National Guard Counterdrug Regulations direct that each Counterdrug School/Training Center will operate under the advisory guidance of an established Board of Directors/Representatives. 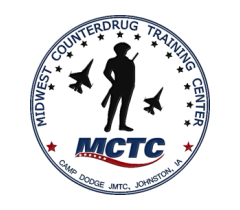 The Midwest Counterdrug Training Center (MCTC) Board of Directors advises the MCTC staff on the educational and training needs of the military, law enforcement, and prevention/treatment communities. The Board provides input to The Adjutant General of Iowa concerning administrative and logistical matters relating to MCTC. Members of the MCTC Board of Directors are made up of The Adjutant General of Iowa (or his/her representative), the Commandant of MCTC, and representatives from agencies involved in developing and conducting counterdrug programs in MCTC’s primary service area.